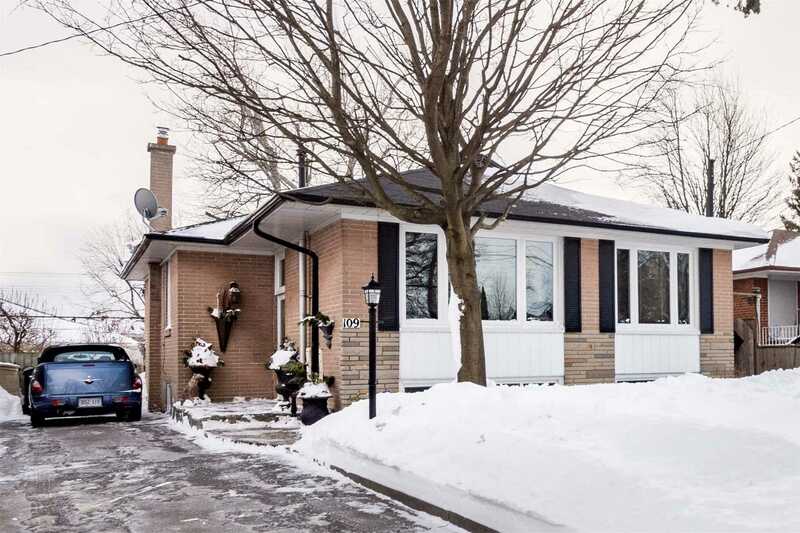 Large 1300 Sf Bungalow With 3+2 Bedrooms, 2 Bathrooms! Mechanically Updated. Clean Home On Quiet Street. Close To Ttc & Cedarbrae Mall. Short Walk To French Immersion School. Self-Contained Basement Apartment May Be Possible By Easily Converting Wet Bar Into Kitchen. Delightful Quiet Backyard Retreat With Lush Gardens, Patio & Covered Screened In Cabana-Gazebo! Existing Stainless Steel Fridge & Stove, Portable Dishwasher, Freezer, Washer & Dryer, Hi-Eff Gas Furnace (2018), Central Air, 100 Amp (Breakers), Ghwt(R), Elf's, Window Blinds & Coverings, Gas Fireplace, Wet Bar, Cabana-Gazebo In Yard. Want to learn more about 109 Pandora Circ (Painted Post - Markham Road)? I would like to learn more about 109 Pandora Circ (Painted Post - Markham Road).